I have lots of gas station refill cups that were given to me, and my son loves to play with them. This morning, we invented a toddler game version of bowling. 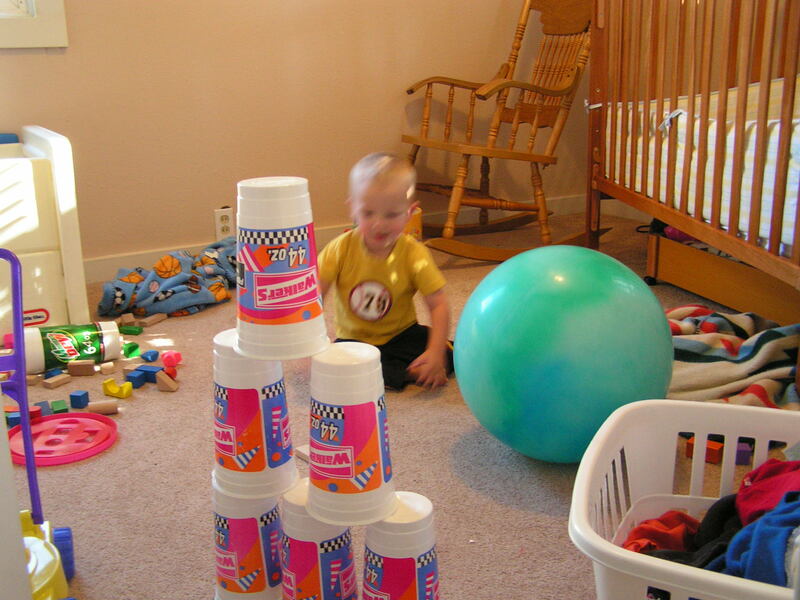 We stacked the cups on top of each other in a pyramid shape, then took his big bouncy ball and rolled it into them. He had fun both rolling and throwing the ball, as well as just knocking the cups down himself.